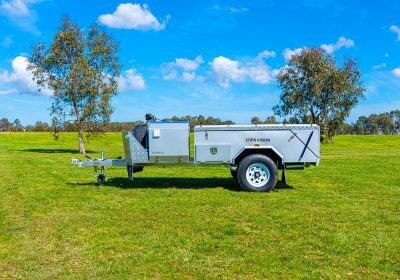 A quality camper trailer is the primary prerequisite when people want to explore the wilderness and have adventures along the Australian landscape. 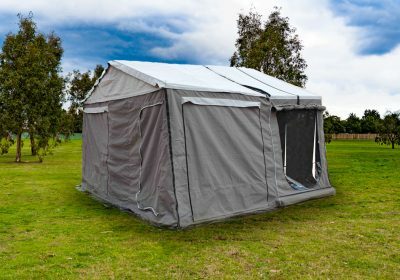 It is a great investment for anyone who wants to connect with the vibe of nature with their family or friends. 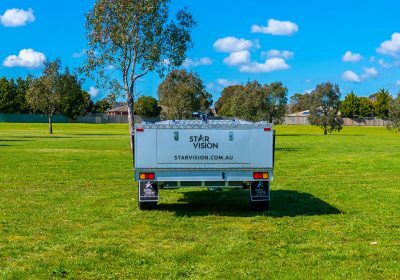 Star Vision offers hard floor camper trailers that can become the true companion of outdoor camping enthusiasts. 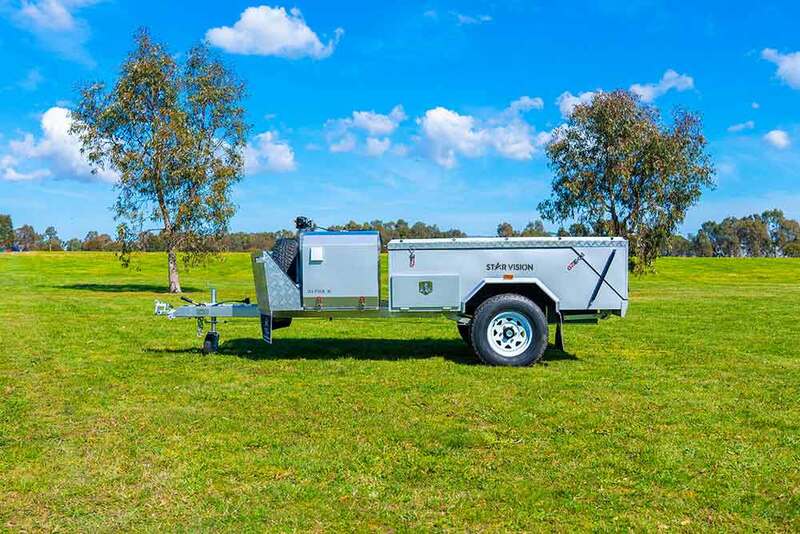 Our Alpha A hard floor camper trailers are an Australian made product, and they are the ideal choice for people who want to combine quality, price, and value. 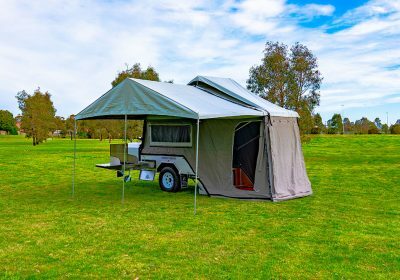 When you want to go for an outdoor escape with your family or friends, you appreciate a seamless experience, no hassles, minimal maintenance to campers, flexible long trips, and more. 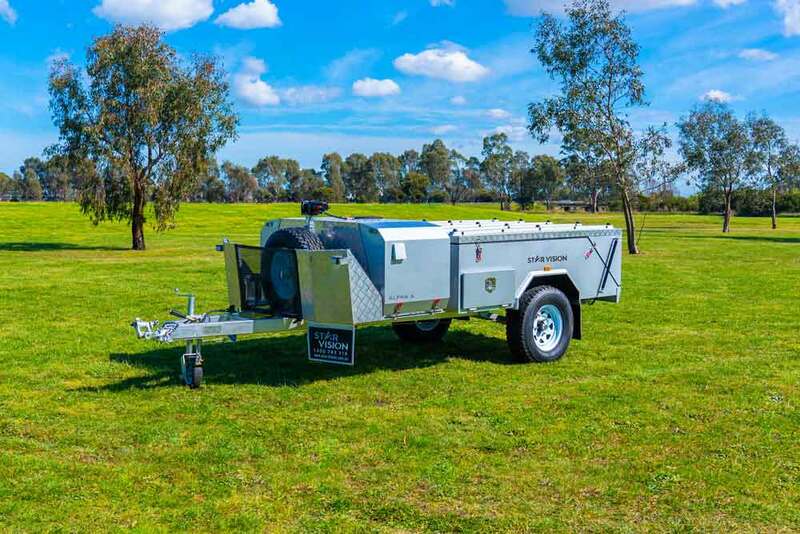 With our focus on customer satisfaction, we have designed and engineered our Alpha A trailers to provide you with great comfort, minimal maintenance, and robust performance in any off-roads of Australia. As a leading maker of hard floor camper trailers in Australia, we designed our trailers on a strong hot-dip galvanised chassis. 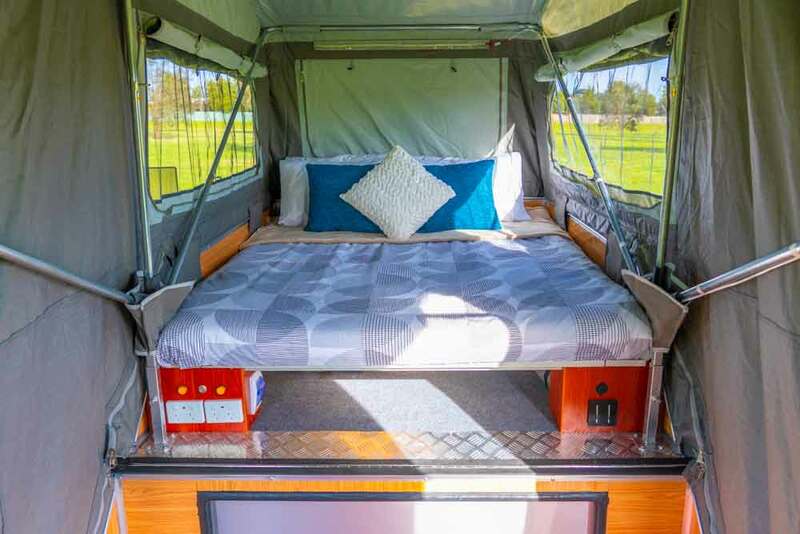 We powered these campers with off-road dual shock absorbers, coil spring rear suspension, and heavy-duty jockey wheel. 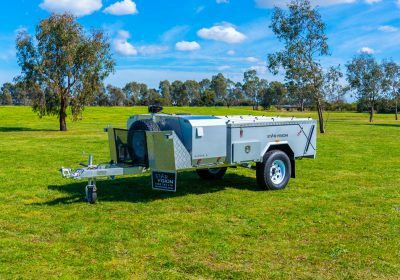 What you get is a combined experience of smooth performance, hassle-free ride, and excellent durability for your trailer: a great investment for your future adventures. 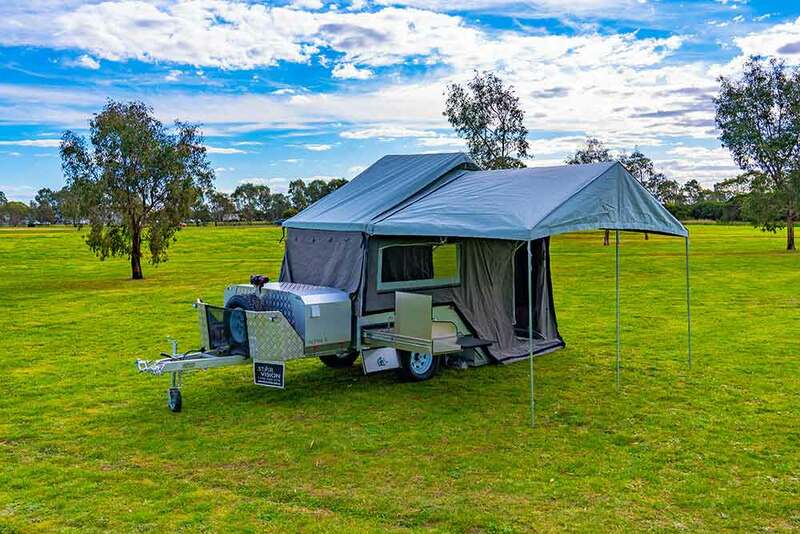 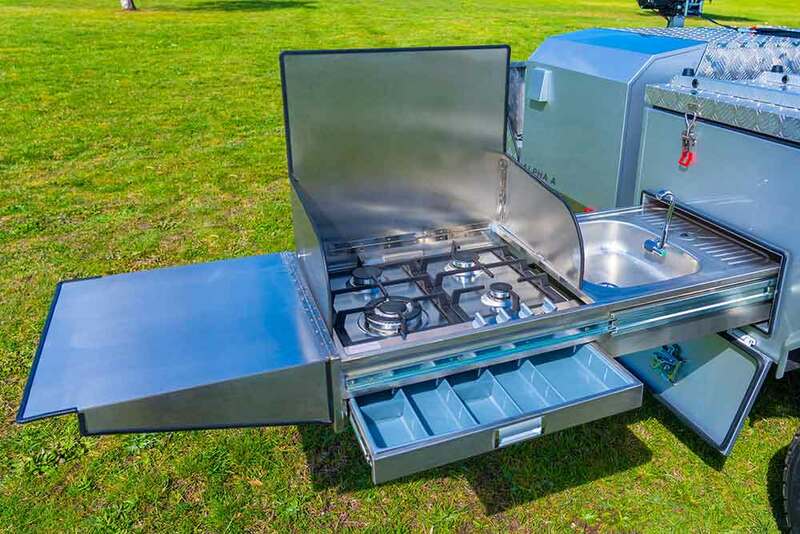 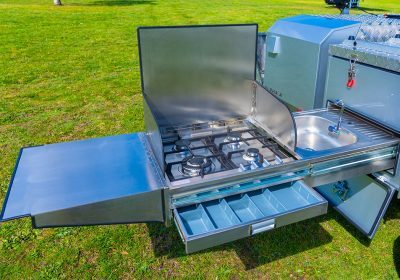 With a 4 LPG gas burner cooktop, queen-size memory foam mattress, fridge slide, and a 100-litre water tank, the forward fold camper trailer for sale from us will make it feel like a home away from home. 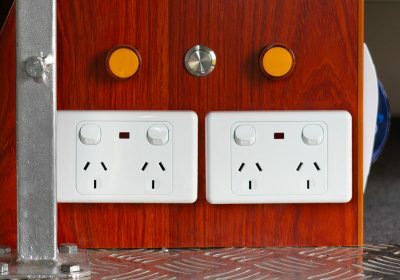 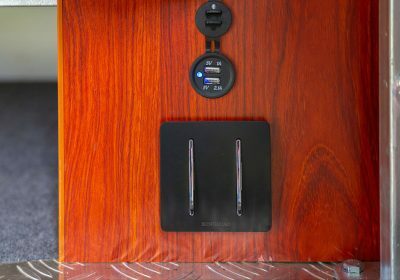 Do you want to include additional options or features, such as a shower kit, solar panel kit, or any other features? 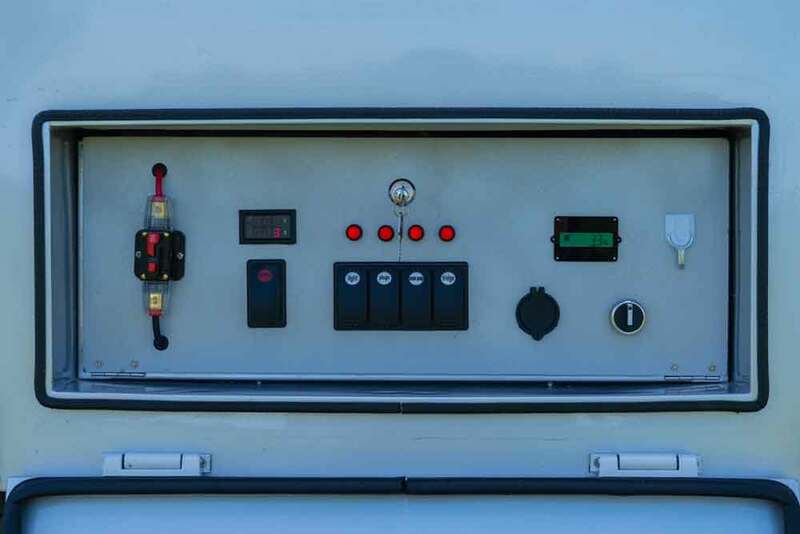 Let us know your customisation requirements, and we are happy to customise the trailer based on your needs. 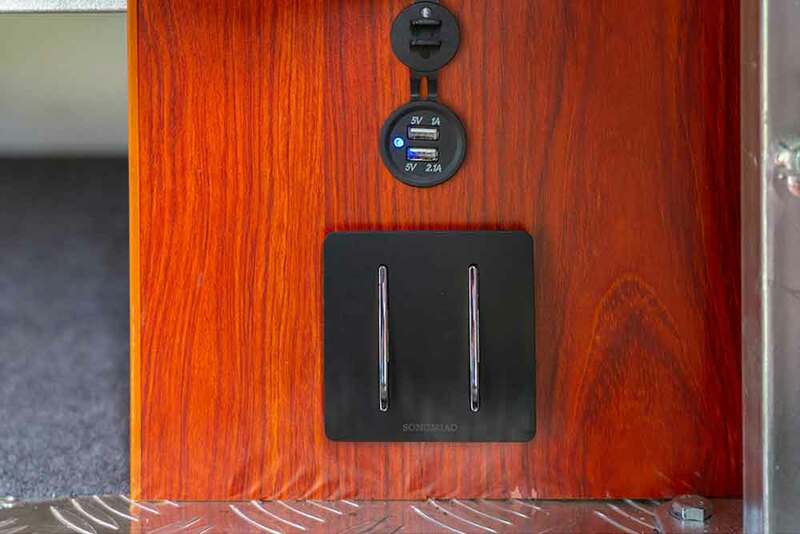 The design of the camper also gives you excellent storage space for your trips. 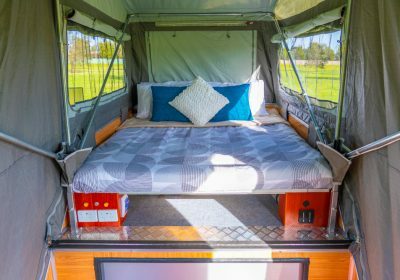 You will find it greatly meets your requirements, especially when you want to do a countrywide tour or an extended trip. The camper trailer has a design that provides you with total convenience. 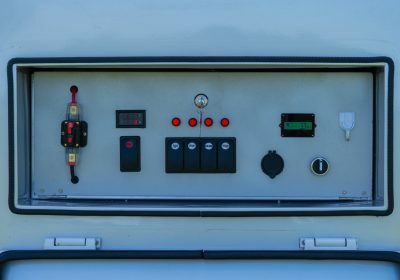 With the remote control assisted setup feature, you can set up your trailer in less than two minutes. 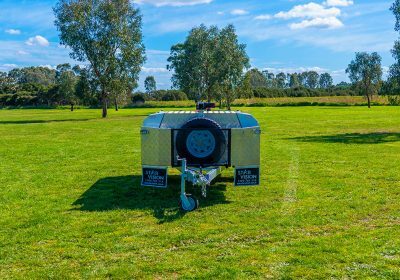 The hard floor camper trailers for sale feature the McHitch hitch that will help you to tow the trailer with your vehicle in a few seconds. 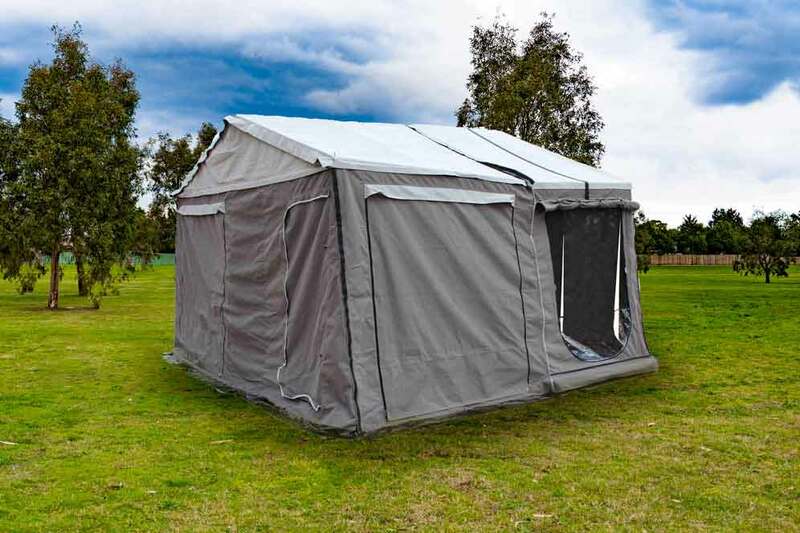 The tropical roof and fully-enclosed annex give you safety, even if you camp in remote locations. 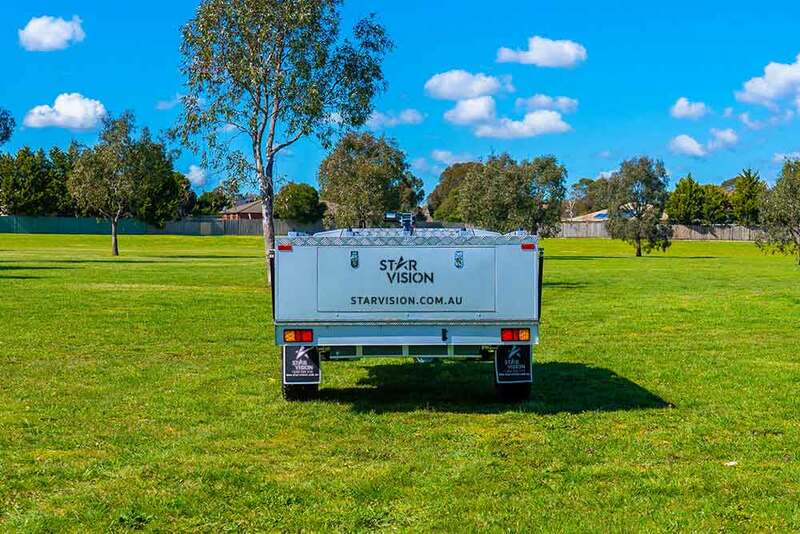 The design of the trailer also makes you closer to nature. 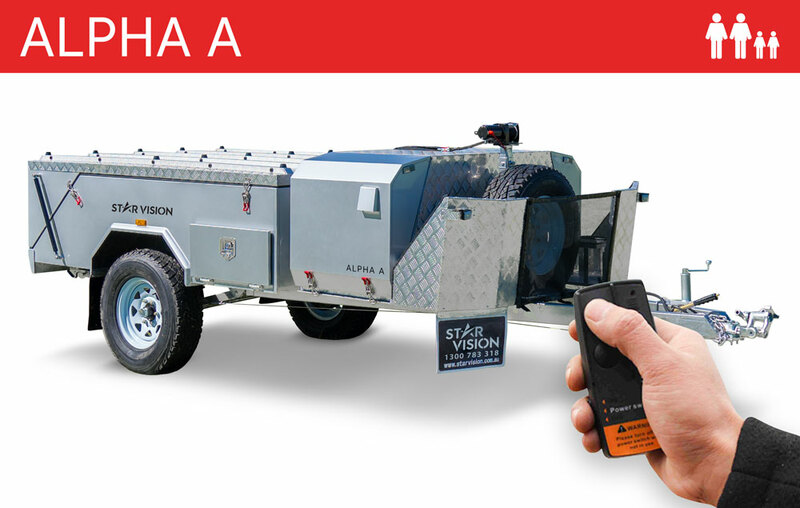 Call us today on 1300 783 318 to learn more about our Alpha A camper trailer. You can also visit our showrooms and see how the trailers can make your trips hassle-free outings. 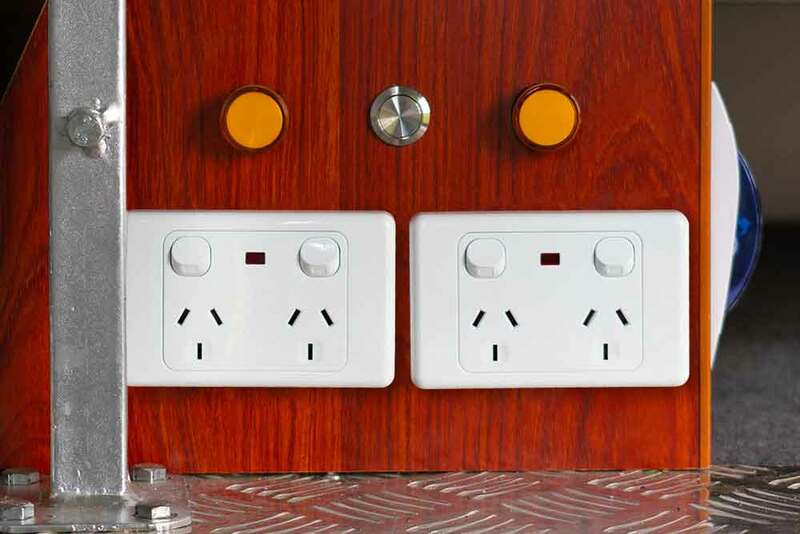 You can reach us online with your questions and thoughts, and we will ensure you a great, smooth buying experience.